It’s been almost 10 years since the Lower Concourse in Mott Haven was rezoned back in 2009 during the Bloomberg administration. But now interest in along the waterfront is heating up. It might not look like much but 399 Exterior Street, at almost 3.5 acres, is on the market for $30 million. 399 Exterior Street, at almost 3.5 acres between 144th and 146th Street along the Major Deegan Expressway is up for sale for a whopping $30,000,000. 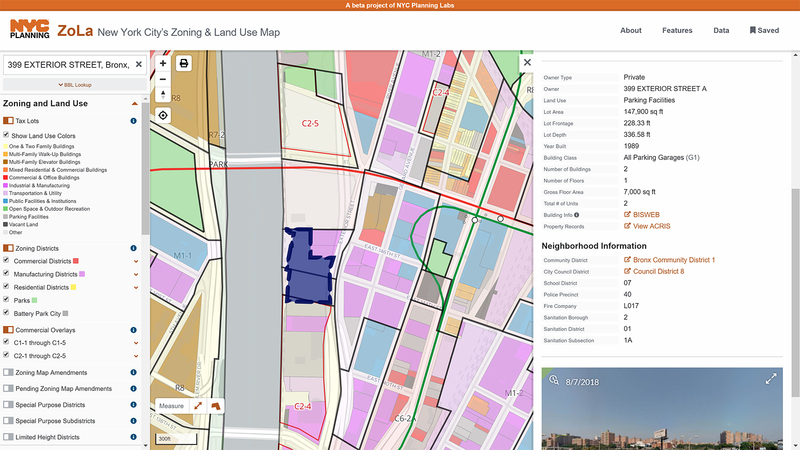 This particular area of the rezoning area is a separate special district called the Special Harlem River Waterfront District (aka SHRWD) that was rezoned and designed to provide better access to the waterfront for Bronxites as well as encourage residential development. The lot at 399 Exterior can be developed to accommodate up to about 300,000 square feet of residential development. Although it sits on the waterfront and that might sound ideal, it directly abuts the Major Deegan Expressway and that is your entrance into the property if a residential building was constructed: Right under a highway where cars and trucks race by with no care in the world. This is what the street entrance to the lot looks like…future residents will look forward to walking underneath a highway to get to their homes! Just a block away and across the street from the site, one particular block has been completely transformed as a result of the 2009 rezoning. What was once vacant lots and small commercial buildings is now home to a Holiday Inn and two affordable housing developments with two additional developments under construction. Truck traffic is generally heavy along Exterior Street. Keep going south along Exterior Street and onto 135th Street and you’ll come across the construction site of the South Bronx’s first residential high rises. The face of the South Bronx and indeed our borough is changing thanks to gentrification. What was once the forgotten and unwanted borough of NYC is now front and center and the main dish for greedy developers who care nothing about the existing residents and culture they want to appropriate.